Test your fourth grader's command of general maths skills by challenging him to complete a handful of word problems. Spring into the season with these maths word problems! 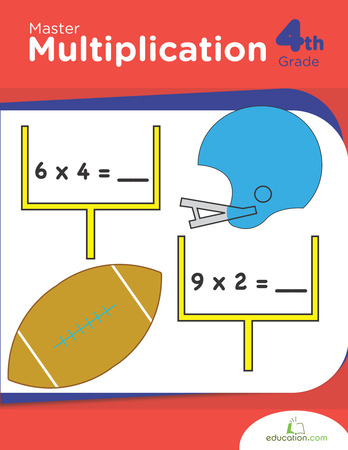 Your fourth grader will be challenged to complete five word problems using multiplication with two-digit numbers. Figure out these foodie maths problems using lots of multiplication and division. It's a riddle whirwind! Hold on tight as you use maths to solve this place value puzzle -- are you up to the challenge? Multiplication Word Problems: Money, Money, Money! 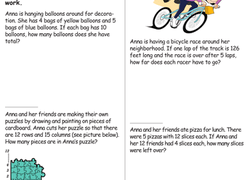 Solve the money-themed word problems using multiplication. Don't forget to check your answers using the answer sheet. Use this worksheet to practise solving multi-step word problems with fractions. 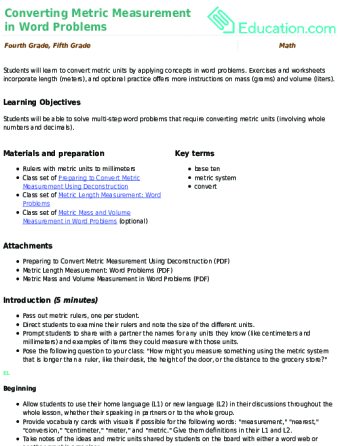 Students will learn to convert metric units by applying concepts in word problems. Exercises and worksheets incorporate length (meters), and optional practise offers more instructions on mass (grams) and volume (liters). Don't let skeletons scare you from doing Halloween maths! practise addition, subtraction, multiplication, and even fractions with scary skeleton word problems. Celebrating the Chinese New Year is fun for family and friends! Use this lesson to teach your students some of the holiday's traditions and events as they practise solving word problems, which involve time and all four maths operations. Fourth graders will gain additional practise in strengthening their maths skills with this worksheet featuring division word problems. These multi-step winter word problems give kids a way to flex the maths muscles they've been building throughout each year of school! Get your head in the game with these sports maths word problems! Students will add, subtract, multiply, and divide fractions to solve two-step word problems. 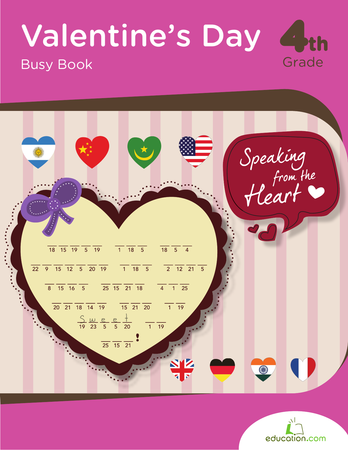 Put a little love into maths practise this Valentine's Day. These sweet word problems will challenge your child's real-world application of maths. 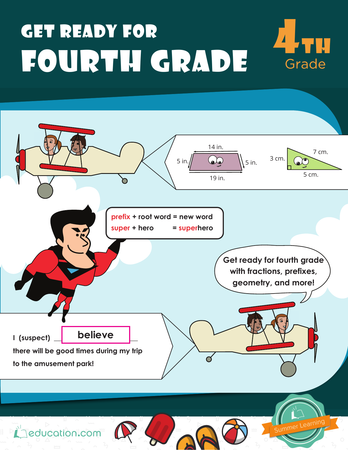 Get your mind going with these super summer maths word problems! Students will solve these easy multi-step word problems to help them out. 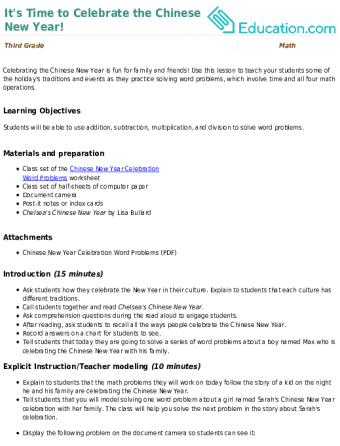 They'll use the chart provided to solve the addition and subtraction word problems. This workbook is packed with worksheets that let kids sharpen maths skills by practising the four basic maths operations as well as factoring.